Rapper 50 Cent insists he’s innocent after being charged with one count of domestic violence and four counts of vandalism. The Candy Shop hitmaker ? whose real name is Curtis Jackson ? has been accused of kicking an unnamed ex-girlfriend, who police say has a child with him, and destroying some of her things during a dispute at her condo in Toluca Lake, California, on 23 June but 50 Cent claims to have no knowledge of the incident. 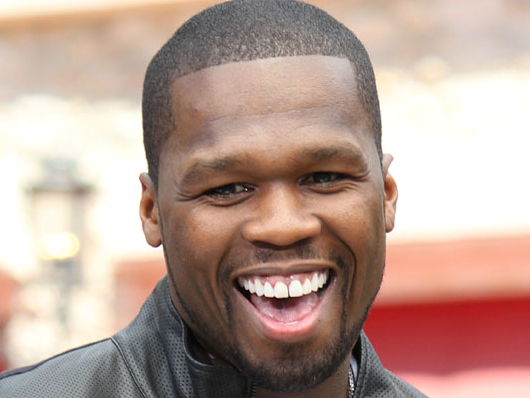 His New York attorney Scott Leemo said, "Curtis Jackson denies these allegations as made against him. It is important to note, Mr Jackson has not been arrested and there is no warrant outstanding for his arrest. [We] are currently conducting our own investigation into these allegations." But city attorney Mike Feuer said in a statement, "Regardless of perceived celebrity or notoriety, domestic violence is a serious crime, and alleged perpetrators will be prosecuted to the fullest extent of the law by this office." Police officers were called to the property, where the woman claimed she locked herself in her bedroom after she got into an altercation with 50 Cent but he alleged kicked down the door and kicked her, resulting in an injury. The rapper, who’s facing five charges, including one count of domestic violence and four counts of vandalism, reportedly left the house before police arrived. If convicted, the award-winning star could face up to five years in jail and $46 000 (R460 000) in fines. He’s set to appear in court on 22 July.